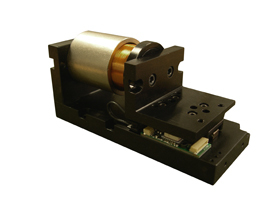 The voice coil actuators are the simplest type of electric motors to operate. The non-commuted motor construction increases reliability with no cogging. The direct coupling of the motor to the load allows for fast acceleration / deceleration and high speed operation with zero backlash. The low moving mass also allows for high bandwidth servo loops. The carriage system utilizes cross roller, recirculating or linear bearings depending on size and resolution. 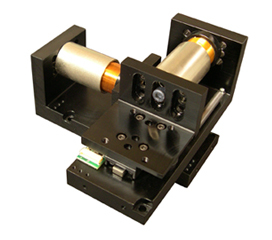 Small footprint is ideal for compact positioning applications. The optional spring ensures the return of carriage upon loss of power, making the stage ideal for vertical or horizontal applications.